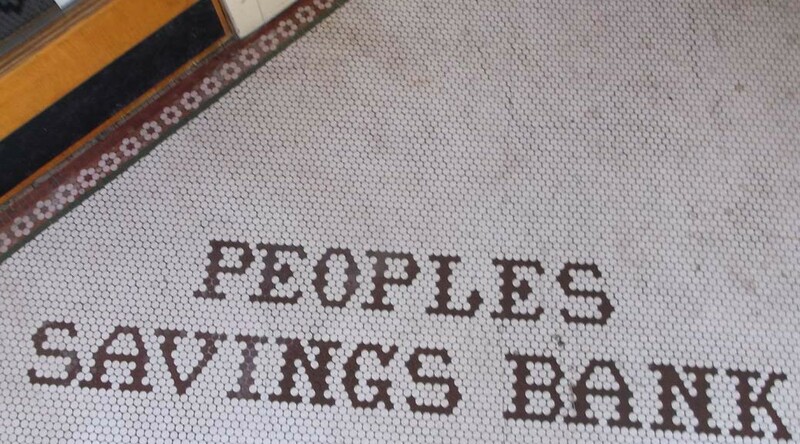 The First People State Bank was at the north east corner of Front and Cass. It later became bank at the southwest corner of Front and Park. This may be a earlier name of this bank. According to the TC historical societies web page the First National Bank was at that corner starting in 1908. Not sure as to when it may have changed. My parents bought the marble table where you would have filled out your deposit slips on at a sale in TC quite a while back. We have a photo of the interior of the bank showing this table that was taken in 1909. The table is currently in our back yard.